Menlo Park, CA: Benjamin/Cummings, 1974. Book. Very Good. Soft cover. 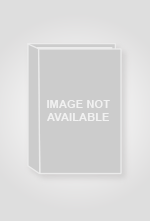 Softcover, illustrated, 511 pages. Problems and answers in biochemistry. Profusely illustrated with reactions and diagrams, unmarked..
Washington DC: US Department of Agriculture, 1978. Book. Very Good. Paper Cover. 4to - over 9¾" - 12" tall. 35pp, Contains 746 references, with index and index of authors. Spots on rear cover. No marks in text, no tears..
Washington DC: US Department of Agriculture, 1977. Book. Very Good. Paper Cover. 4to - over 9¾" - 12" tall. 57pp, Illustrated with drawings and photographs. Technical Bulletin No. 1565. No marks or tears in text..
Washington DC: US Department of Agriculture, 1977. Book. Very Good. Paper Cover. 4to - over 9¾" - 12" tall. 57pp, Illustrated with drawings and photographs. Technical Bulletin No. 1565. A few spots on rear cover. No marks or tears in text..
NY: Vintage Book. Very Good. Paperback. 12mo - over 6¾" - 7¾" tall. 116pp, An account of the ideas of world order prevalent in the Elizabethan age. 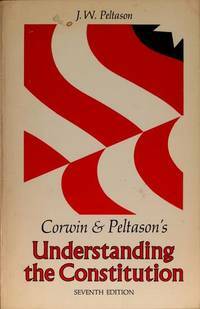 No marks in text..
Corwin & Peltason's Understanding the Constitution. Hinsdale, IL: Dryden Press Book. Very Good. Soft cover. 7th edition, 272 pages. Explanation of the Constitution in lay terms, section by section, Amendment by Amendment..
Washington DC: United Stated Department of Agriculture, Agricultural Research Service, 1960. Book. Very Good. Paper Cover. 8vo - over 7¾" - 9¾" tall. 188pp, Agriculture Handbook No. 173. Illustrated with drawings and black & white photographs. Includes keys to subfamilies, genera, and species of adults and larvae. Former owner's name on front cover. Rear cover lightly creased. No marks or tears in text..
Washington DC: USDA, ARS, 1960. Book. Very Good+. Paper Cover. 8vo - over 7¾" - 9¾" tall. 188pp, Illustrated with drawings and black & white photographs. Agricultural Handbook No. 173. Keys and descriptions of the adults and larvae of 11 genera of southeastern mosquito species. Former owner's name on title page. No marks or tears..
Grans Rapids, MI: Eerdmans, 1953. Book. Very Good. Cloth. 8vo - over 7¾" - 9¾" tall. 1058pp, Essays explaining what, in the editor's opinions, is the meaning of various selected texts in the Bible. Olive cloth hardback. No marks or tears..
NY: Union Square Press, 2007. Book. Near Fine. Large Softcover. 8vo - over 7¾" - 9¾" tall. 584pp, Large softcover. 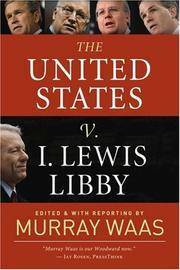 Excerpts from the Libby trial, with commentary by the editor. No marks or tears. A very nice copy..
NY: Doubleday Anchor, 1955. Book. Very Good. Paperback. 352pp. A few pencilled notations. Very Good. Cincinnati, OH: Standard Publishing, 1973. Book. Very Good+. Soft cover. 8vo - over 7¾" - 9¾" tall. 48pp. Teaching adult Sunday School. Very Good+. NY: The Macmillan Company, 1914. Ex-Library. Good. Cloth. First Edition. 8vo - over 7¾" - 9¾" tall. 494pp, Chapters include: Ibsen, THe Themes of naturalism, Varieties of romance, The eternal triangle, Wayward woman, the priestly hero, scenes from married life, the problem of divorce, family studies, Irish plays of mysticism and folk history, the tyranny of love, ideals of honor, plays of social criticism, the poetic drama, and the drama of satire, Shaw. With card pocket and library markings. No marks in text, no tears. Tight binding with some shelf wear. Green cloth..
Salem, NH: SAlem House, 1985. Book. Very Good+. Cloth. First Thus. 4to - over 9¾" - 12" tall. 160pp, Gauguin's manuscript edited and introduced by Wadley. Reproduction of Gauguin's illustrations in color and black & white. Black cloth with gilt spine lettering. No marks or tears. NY: G. Schirmer, 1904. Book. Good+. Flexible Hardcover. 4to - over 9¾" - 12" tall. 221pp. English translation by Frederick Jameson. Complete vocal score in a facilitated arrangement by Karl Klindworth. German and English libretto. No marks or tears. Flexible cloth covers with gilt emblem and title on front cover and spine..
NY: G. Schirmer, 1904. Book. Good+. Cloth. 4to - over 9¾" - 12" tall. 221pp, English translation by Frederick Jameson. Complete vocal score in a facilitated arrangement by Karl Klindworth. Green cloth with a darkened white spine. Two inches of cloth at the base of the spine is missing, revealing the spine backing. Some discoloration to the green cloth of the covers. Gilt spine lettering and cover decoration. Former owner's name on inside front cover, bookstore stamp on lower front free endpaper. No marks or tears in text. Text in German and English..
Penguin, 1978. Book. Very Good+. Soft cover. 8vo - over 7¾" - 9¾" tall. 275pp, Softcover. Former owner's name on inside front cover. No other marks, no tears. A nice copy..
NY: Viking, 2000. Book. Very Good+. Quarter-cloth. First Edition. 8vo - over 7¾" - 9¾" tall. 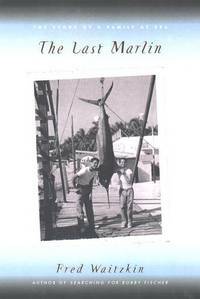 246pp, A New York Jewish boy describes fishing experiences with his disfunctional family. There is a small tear in the upper front corner of the DJ. No other marks or tears..
NY: Simon & Schuster Remainder. Good. Soft cover. 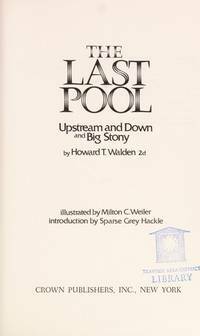 First Softcover Edition. 392pp, illustrated. Remainder. Good. NY: Crown, 1972. Book. Illus. by Milton C. Weiler. Very Good. Cloth. First Edition. 8vo - over 7¾" - 9¾" tall. 297pp, Experiences and philosophy of trout fishing. No marks or tears. Intact dustjacket..